Koroipita resident Kelera Likutokalau is eager to use her electrical sewing machine, now that she has access to electricity inside her home. Ms Likutokalau thanked Minister for Economy and Attorney-General Aiyaz-Sayed-Khaiyum who commissioned the Rural Electrification Project at Naikabula, Lautoka, yesterday. She said the electricity would transform their lives. Ms Likutokalau, who is in a wheelchair, said this was now the time for her to earn more income for her family. “I have been living here since 2016 and from then we were dependent on the solar lights,” she said. She said this would also benefit her daughter in terms of education. “With the access to electricity now, my daughter will be able to complete her homework properly,” she said. 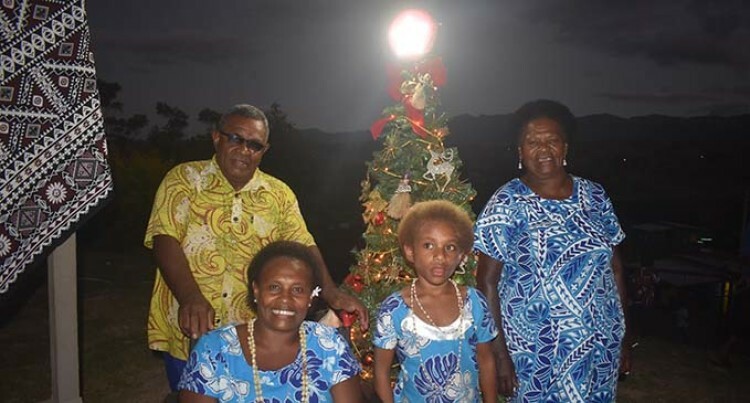 Ms Likutokalau acknowledged Mr Sayed-Khaiyum and the FijiFirst Government for giving an early Christmas gift to the residents.